Join us for a day exploring … using the Open Space Approach. We’ll create the agenda for the day on the day, because there will be a critical mass of people who are just the right people to create that agenda! Writers, directors, producers, arts makers, promoters, actors and performers, arts administrators will come together to explore our theme. This will be a unique and powerful day. We hope you will join us. Open Space is an approach to conferencing without a predetermined agenda. The agenda emerges on the day through a simple, facilitated process. The output from the conference is often more relevant, more useful, and more lasting than anything we try to plan in advance. This is because the content arises from the passion in the room on the day. The people are there because they want to be there. People attend sessions, discussions, meetings, debates, talks because they choose on the day to attend those happenings. People offer sessions on the day much more spontaneously and address themselves to the theme of the conference, which is the main thing that IS set in advance. – when it is over, it is over. And people are encouraged to use the “law of two feet” – to never be in a place in space or time that they don’t want to be. Leaving a session and joining another at any time is acceptable and not deemed to be rude! At the beginning of the day, we start in a circle and there is an open space “market place”. This is where attendees are invited to fill an empty timetable with content. People stand up and offer sessions – talks, discussions, workshops, demonstrations, debates – and the rest of the attendees are invited to sign up to whatever sessions they wish to attend. Session convenors agree to capture the essence of their session so this can be incorporated into a document that records the whole event and is shared with all participants (and others interested) after the event. Any notes written up during the day itself can be posted to a “breaking news” board at the event itself. The passion is in the room. On the day. The open space is filled with content that the people in the room want to explore. People are encouraged to be “butterflies” when they choose and float from one session to another. Or they may choose to be more informal, like attractive flowers, and soon enough a spontaneous conversational group can emerge that wasn’t planned in the morning “market place”. The open space becomes a real conference. A place where we explore together a critical theme that we want to explore. The aim is to ensure you are always in a place of relevance and value to you during the day. Out of the open space, the outcome emerges – a large group of people have shared thoughts and experiences, ideas and approaches around a critical theme. And it all feels more emergent, live and genuinely owned by the attendees and not a programme committee who set the whole thing as a “best guess” in advance. The open space is in the hands of the community not the committee! Open Spaces have been used all over the world since the idea was created by Harrison Owen. They have been used more recently in the arts and in the theatre world. The method is tried and trusted as a way of diving deeply into an important question, set of questions or challenges. 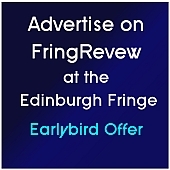 World Fringe will be offering one of its Congress days at the Edinburgh Fringe as an open space. The theme will be focused on a key issue related to Fringe, something you’ll feel passionate about, interested to explore and to contribute to. You might come along already with a session you want to offer or a question related to it you want to explore with others. You might come along undecided as to whether you’ll offer to convene a session and remain open until the last minute! You might just want to come to participate, to join in others’ sessions. That’s okay! At the start of the day the market place session will be the place to see the timetable fill up with all kinds of angles and perspectives on the theme for the day. This entry was posted on Monday, July 9th, 2012 at 10:00 am and is filed under Advice For Performers. You can follow any responses to this entry through the RSS 2.0 feed. Both comments and pings are currently closed.